It has been a great week flying and spending time out east, especially after some good training and reminders of why I love this sport back at home with some grass roots – SoCal racing, and again racing the amazing Cincy UCI weekend. 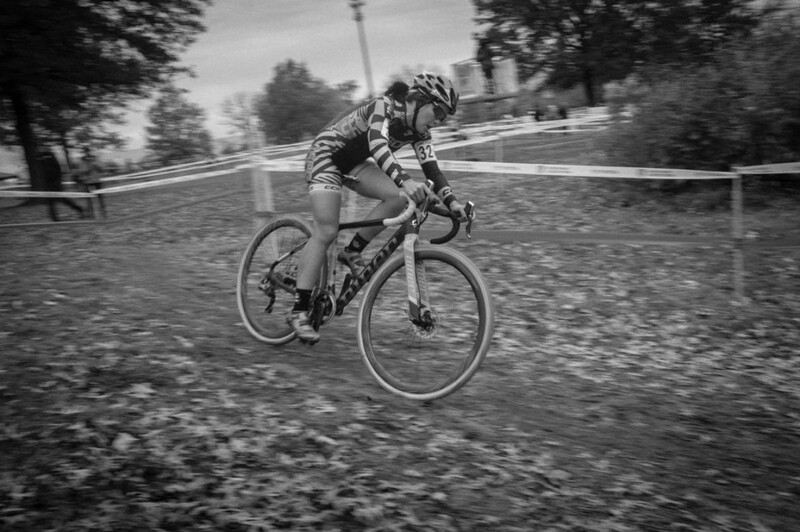 The 12th annual Cincinnati International Cyclo-Cross Festival kicked off on Halloween Day at Kingswood Park. 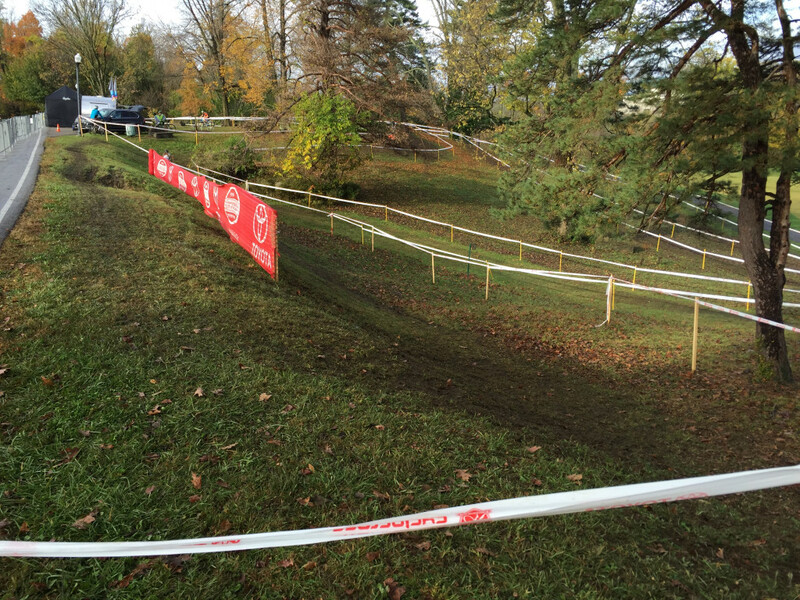 The course rolls fast and there are only a handful of spots to recover. The sand pit is long, the camel hump (short punchy climbs on the backside of course) is brutal in each direction, and every other portion of the course is full-gas. 2014 saw this venue as a night race under the lights and I had the unfortunate luck of losing a contact lens early in the race and did as well as a one-eyed Panda in search of food could as course tape and poles (bamboo) were blurred with a distant feel. This year I returned with a goal of keeping my eyes in my head and finish in the points. With the stacked field I was slotted into a fourth row call-up and with two contacts securely in place, I was committed to race as hard as I could on the power-sucking course that suits my strengths. I had a dismal start that put me in the twenties at the beginning of the first lap and the rest of the race was an uneventful push to move as far forward as possible. This was another coveted C1 race and I knew I had to snag as many points as possible. With two laps to go I was in 13th with Mical Dyck (Naked Factory Racing) and Courtenay McFadden (American Classic/Zones) in my sights. Last year I stuffed myself in the sand a couple times and was unable to ride up the steepest camel hump climb on a few laps. This year I successfully mastered riding the long sandpit on the tops of my handlebars and rode the camel hump climbs with ease. Marginal gains. With a lap and a half to go, I was climbing the last section of the camel hump and suffered a mechanical. 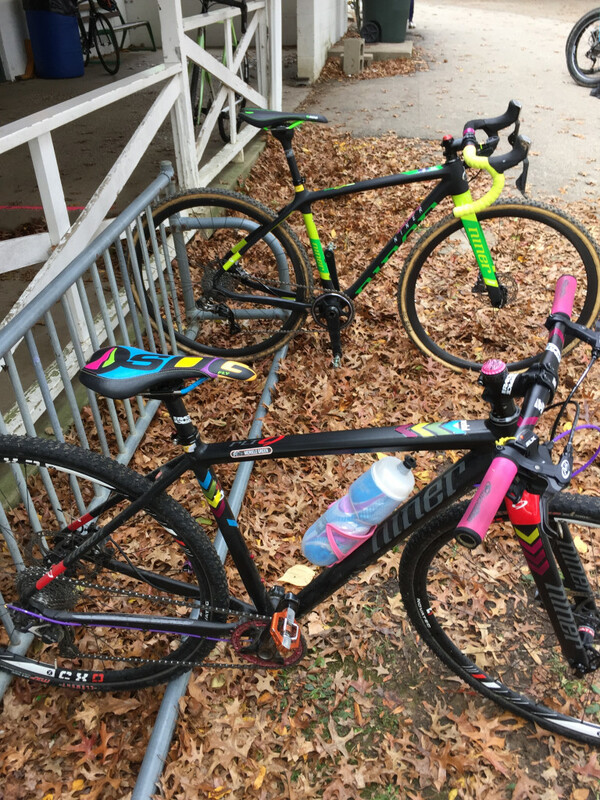 Sunny Gilbert (Michelob Ultra – Big Shark Racing Team) snuck by me at the top and then after I realized I was relegated to a singlespeed, Erica Zaveta (Maxxis-Shimano Pro Cyclocross Team) and Teal Stetson-Lee (Scott 3Rox) came around me as well. 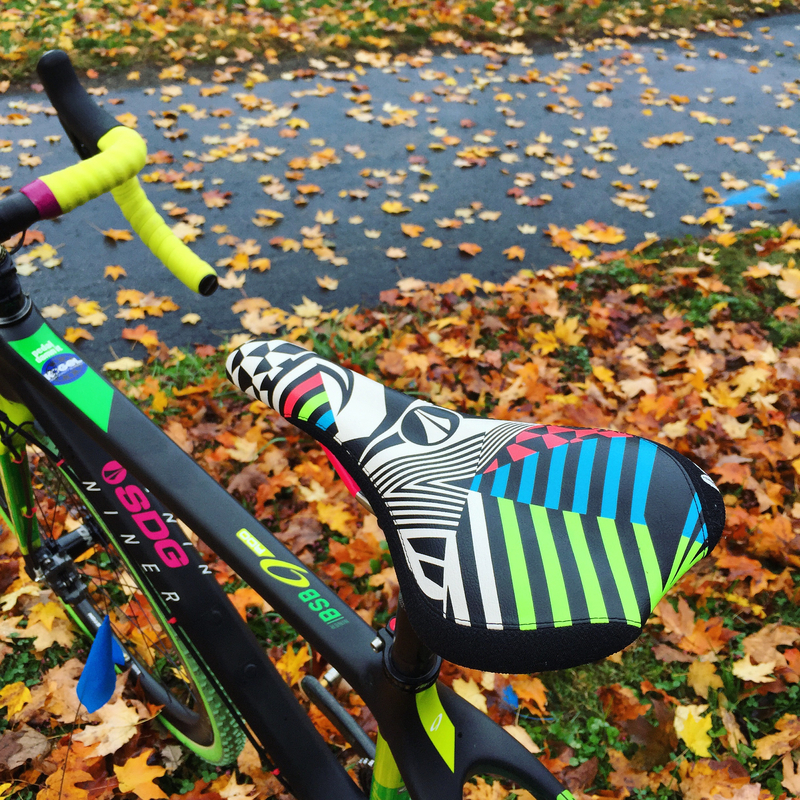 I performed the worse bike exchange imaginable, body-slamming my first bike to the ground and slowly grabbing the new bike, with just over a lap remaining. I managed to pass back Stetson-Lee and Zaveta, but Zaveta stuck on my wheel until the end. I was close to catching Gilbert, but finished just two seconds behind her on the grueling, uphill grass finish. Kings again, was a scuffle to the very end and I was happy to walk away with 14th and two C1 points. The other highlight of my day was walking around the venue in the morning before the junior races were about to get underway and not being able to count on two hands the number of SDG saddles buzzing around. The Ohio River Valley has incredible junior and women’s development programs and I was very excited to see SDG be a part of that. 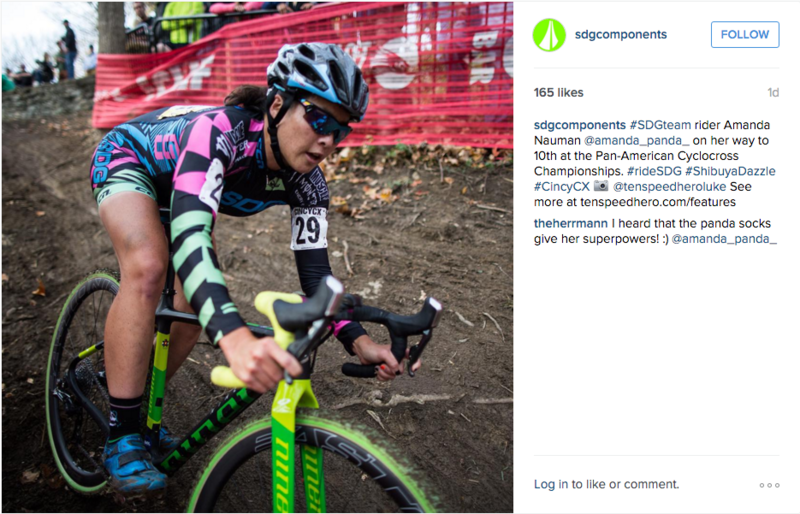 Devou Park was again host to the Elite Women’s Pan-American Cyclocross Championship race. I imagine the Devou course to be very similar to European courses and it rode in stark contrast to the previous day’s course. And, one of the best challenges it has been to be on this course over the past two years. I had one of the best starts I’ve ever thrown together and came into the Toyota Twister in the top ten. However, the Toyota Twister had other plans for me and I made the wrong line choice. I watched the start of the women’s U23 race earlier in the day and it was as messy, chaotic slip-n-slide as they were the first category of the day to make their way through that section of the course. After witnessing that mess and practicing the move a couple times, I made a decision to ride up to the top line, dismount on the opposite side and run across the top while grabbing the fencing. It’s the kind of off-camber that can break derailleur hangers if you land and slide wrong. What I didn’t take into account was two more races made their way through that section afterwards and running the top line by the fence wasn’t necessarily the fastest line any longer. 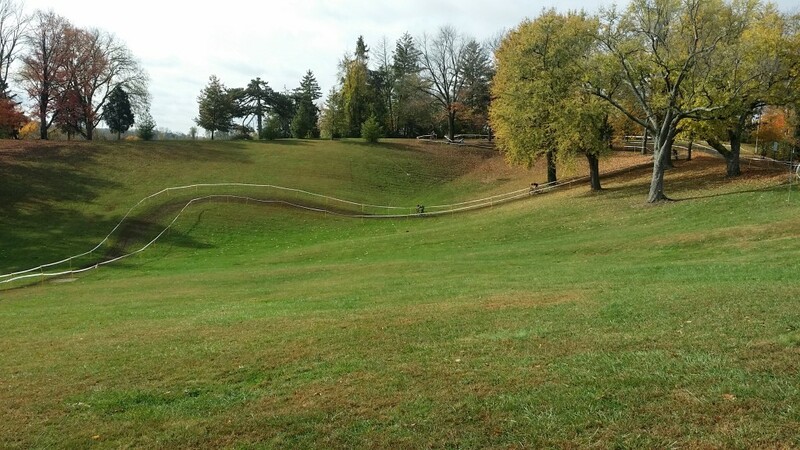 A shoe-wide single line had formed at the bottom of the off-camber and it was now run-able without sliding under the fencing. What I thought was going to be a faster Sven line at the top turned into a more awkward run up. My takeaway from that was to make sure I inspect the course closer to my race start as conditions are always changing throughout the day. After meandering my way around the technical off-cambers on the first lap, I came down the Pan Am Plunge in 16th. I went into the race with a third row start and told my self that the first lap would be a challenge in mitigating risks while trying to move up around riders on such a technical course. The remaining laps would give me more room to actually race my bike and attempt to make as few mistakes as possible. After three laps into the five-lap race I was going back and forth with Maghalie Rochette (Luna Pro Team) and Elle Anderson (SRAM / Strava). I surprised myself riding a few tricky sections that I did not clean earlier in the day. But, on the other hand I made a handful of stupid mistakes that came from not focusing enough and this allowed Anderson to inch her way back up to me. Caroline Mani (Raleigh Clement) wasn’t racing Pan-Ams due to her French nationality, but it was such a treat to have her cheering us all up the brutal “Shamrock Hill” run-up on each lap. With one-to-go Anderson passed me like I was standing still on the final climb leading up to the run-up. We were closing in on Mical Dyck and I was at my absolute limit, legs close to cramping as I tried to remount my bike after the run-up. My legs were so heavy it felt like the final 60 seconds of the race happened in slow motion. After getting over the uphill barriers one last time, I dug deep for every ounce of energy I had left to get to the finish line but I didn’t have any snap to catch Anderson. Dyck, Anderson and I finished within seven seconds of each other for eighth, ninth, and tenth respectively. That’s one of my biggest American cyclocross inspirations and the recently crowned Canadian national champion. I’m proud of that company and finishing in the top ten of the Pan-Ams. At the end of the men’s race I walked back to the car with some money in hand, admiring the Kentucky sunset. Elle Anderson was standing by her car and I sheepishly introduced myself. Looking back on the women’s results, I later realized that three of the top 10 finishers at Pan-Am Champs are California girls: Lloyd, Anderson, and myself. If you throw McFadden in that group as well than you’ve got four of the top ten from the west coast of the United States! Now after a week in the Cincy area we head to Louisville, KY for another great race weekend and my first chance to embrace the beautifulness that was developed for the 2013 CX World Championships at Eva Bandman Park.